LAKEFRONT CABIN PRICED TO SELL! 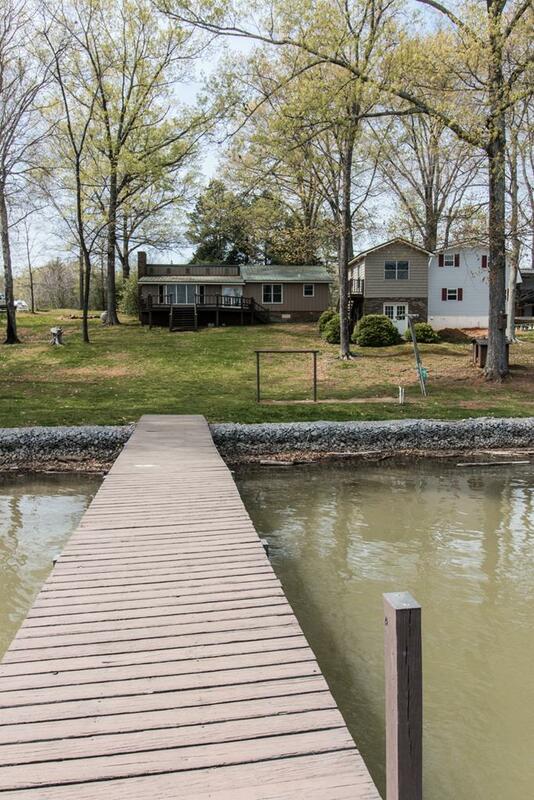 THIS PROPERTY HAS SO MUCH TO OFFER WITH 100' OF WATER FRONTAGE ON UPPER ELK RIVER. PROPERTY GETS MORNING SUN AND NICE SHADE AROUND 1PM, SO YOU CAN ENJOY COOKING OUT OR JUST RELAXING ON THE PIER OR DECK WITHOUT SCORCHING IN THE HOT SUN. CABIN FEATURES A 24 GAUGE METAL ROOF, TRAIN CENTRAL UNIT THAT'S LESS THAN 5 YRS OLD, TERMITE BOND WITH TERMINIX AND VERY LOW UTILITY COST. MASTER BEDROOM & DEN HAVE A FANTASTIC VIEW OF THE LAKE. THERE IS AMPLE STORAGE SPACE THROUGHOUT, NICE KITCHEN, AND LARGE LAUNDRY ROOM WITH BUILT IN PANTRY. THE SEPARATE BUILDING/APARTMENT OFFERS MANY OPPORTUNITIES. IT COULD BE CONVERTED INTO A GUESTHOUSE, OFFICE, OR GAME ROOM, IF YOU'RE LOOKING FOR A FULL TIME RESIDENCE OR JUST A WEEKEND GETAWAY ON THE LAKE, THIS 3BD/2BA HOME CAN BE YOURS TODAY! Located in Alabama, Elk River real estate is a tight inventory market in the state for lake homes and lake lots. The typical average list prices of Elk River homes for sale is $392,000. On average, there are 10 lake homes for sale on Elk River, and 10 lake lots and parcels.